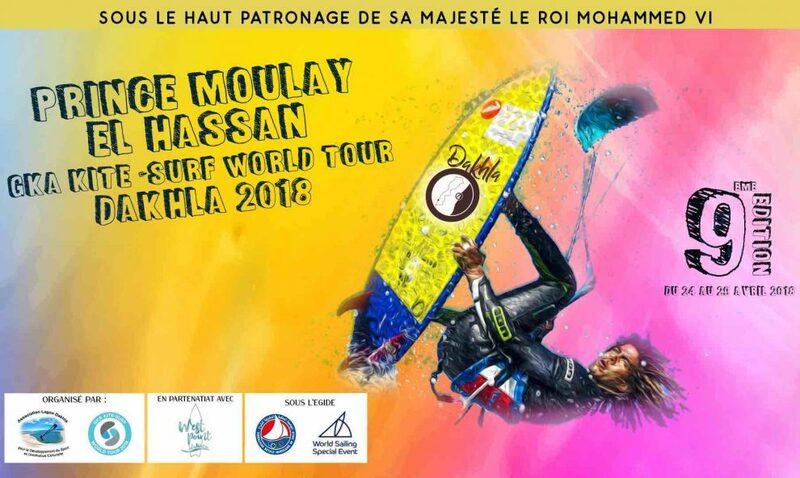 The 2018 edition of the Moulay El Hassan Global Kitesports Association Kitesurf World Tour (GKA KSWT) ended on Sunday, April 10th in Dakhla indicating the successful conclusion of the second event of the year. Thanks to the relentless Dakhla wind, the riders were made to go through a barrage of heats in the singles and doubles eliminations, with Airton Cozzolino extending his lead to make it two victories from the two events so far. There was also a first-ever KSWT win for Jalou Langeree to tie on overall standings in the women’s division with Moona Whyte. Saturday was a lay day after the whole events were wrapped up on Friday. The riders then made a trip over to the lagoon on Sunday afternoon to enjoy a strapless freestyle at the recently built PK 25 Hotel. Based. It was also the official launch of the Hotel so it was a 2 in 1 celebration. Now, let’s go through some of the highlights of the event. Many women eventually embraced the strapless freestyle discipline even though they were very slow to do so. Carla Herrera Oria noted that she had been putting it away for some years now and she and her competitors eventually realized that if they wanted to be competitive in the 2018 tour, they just had to embrace it. From tour regular, Ismail Adarzane, to local trainers that live and worked in the city, Morocco had a strong contingent of representatives at the KSWT Dakhla. Ismail made the top 5 in the singles’ elimination but the overall performance of the Moroccans was high, Mamoun Majid being a standout performer in the double eliminations. Not all KSWT riders were on board with the strapless freestyle, not even those who had been competing at the event since 2016. Some even had to avoid the events that required them to rely on their non-wave riding skills to do well. That said, wave-specialists, such as Pedro Matos, Sebastian Ribeiro and James Carew had been working on their freestyle skills during the off-season. In a heat, Sebastian was able to beat Matchu Lopes, the tricky titan. He got over 40% of his points from the strapless freestyle in the double-elimination. Amazing! Airton stated at the end of the initial event, which was held in Cape Verde that his aim was to end the season with a clean streak of victories. A perfect win is all he desires; no anticlimax at the final event, no mistakes, just perfection all round! There is still a long way to go but he is on course. Next stop, Portugal. Let’s see how he’ll fare. Prior to this victory, Jalou had never recorded a victory over Moona at a GKA event. With Moona riding front side at the majority of wave spots on the tour for the year, Jalou would be riding the backside and it’s possible she must have pondered to herself if she would ever get the opportunity to defeat Moona in 2018. We have our answer. Jalou has been putting lots of hard work into her backhand riding since last year and the results have started showing; however, we expect Moona to come back strong at the next events. Things are beginning to shift on the rankings although the first 3 remain unchanged. Mitu Monteiro has moved up to 4th position while the heroic display in this week’s double-elimination saw Jan Marcos get into the 5th position in this week’s double elimination. Next stop for the tour is on the 7 -12th of June, in Viana do Castelo, Portugal. The KSWT bids Dakhla goodbye as it comes to the conclusion of yet another impressive year at Foum El Bouir.